Add the iBT371 to your account to receive email notifications about software/firmware updates and more. What is the wireless range for audio streaming? I have the speaker connected via Bluetooth to my PC / Mac. However, I cannot hear any sound coming through the speaker? Make sure that you have selected this unit as your “playback” device on your PC or Mac. • Windows 7, 8 and 10: a. Right click on the speaker icon located on the bottom right of your screen b. Select playback devices c. Select the device you want to play and click OK.
• Mac: a. Click on System preferences icon b. Click on Sound c. Select Output d. Select “iHome unit stereo” for the output source, and adjust the output volume if necessary. 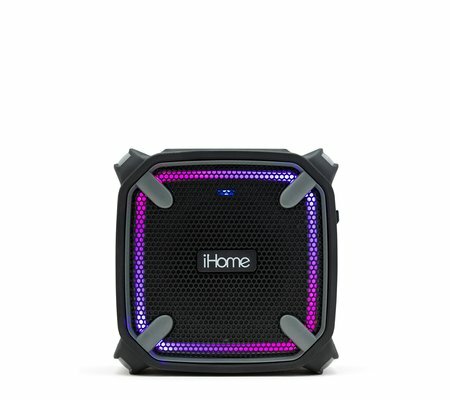 Can I connect anything to the speaker via hard wire while the speaker is in water? NO, any water coming in contact with the speaker terminals will damage the speaker. The Air tight gasket must be completely closed whenever the speaker is in or near water.